Neem Oil For Dogs – Shampoos, Safety, and Benefits! Neem oil is an increasingly popular substance, not only for human use, but for dogs as well. It comes from the bark, leaves and oil of the neem tree and has been used in India for centuries as a natural Ayurvedic remedy for a number of ailments. The benefits of neem oil ranges between promoting a healthy coat in animals to supporting a strong immune system and repelling external parasites, such as ticks and fleas. Neem oil is actually quite a popular natural substances for flea and tick control, and it works incredibly well on many dogs. Unfortunately, this oil is usually discovered when pet owners are fighting with a problem that no prescription drug has been able to solve for their pet. When they’ve tried neem oil, they’ve been pleasantly surprised to see the problem disappear overnight. It’s no surprise that neem oil is rising to popularity, and a pet shouldn’t have to go through a serious issue and endure heavy duty drugs that take a toll on their immune system, when there’s a great natural alternative out there. 1 Top Rated Neem Oils for Dogs! 2.1 So, is Neem Oil good for dogs? 3.1 So, is Neem Oil safe for dogs? 4 How to Use Neem Oil for Your Dog. Top Rated Neem Oils for Dogs! Neem oil has many benefits, not only for humans but for dogs as well. Maybe even more for dogs! The search for natural and organic alternatives for our pets is a growing trend, and with this trend there are a lot of manufacturers of products that claim purity, high quality and effectiveness. This naturally presents a trust issue, one which I, myself, have had to face with my own pet. It’s normal to wonder if neem oil is good for dogs. So, is Neem Oil good for dogs? We say, absolutely! Neem oil is a great natural pesticide and it helps keep your dog in overall good health. It’s even hypoallergenic! Neem can even be taken orally as neem leaves. This may be harder to find, but the ingestion of neem leaves and/or bark can help ward off parasites, stimulates the liver and boosts your dog’s immune system. Neem oil is even safe for puppies if they ever need it. The only thing neem oil cannot help your dog with is tapeworm. Neem oil should be diluted when using it on your dog and always consult your vet before trying it. These side effects can be present on extreme cases of over dosage or accidental ingestion of neem oil. Remember that pets can be more sensitive to neem oil that a human is, therefore the proper amounts must be carefully administered under the guidance of your vet. So, is Neem Oil safe for dogs? Neem oil is generally safe for dogs. More pet owners have reported success in using neem oil on their dogs than anything else. The listed side effects are the same for human children as for pets. You should take care that your pet does not ingest neem oil, or lick a part of their body that has neem oil on it. If you follow the proper dosage, then you shouldn’t have any problems at all. The other parts of the Neem tree are safer to ingest, such as the bark and the leaves. How to Use Neem Oil for Your Dog. Neem oil has a wide variety of uses and applications. The whole Neem tree is actually quite beneficial for human and pet health. The proper use of neem oil depends on what you want to use it for. The most popular ways of using neem oil is by either making a neem spray or neem shampoo. I am not a veterinarian and you should always consult with your preferred pet health care provider before considering the use of neem oil for your pet. “Using neem spray: dogs can be sprayed with neem spray just as we spray ourselves with insect repellent. You can do this to prevent problems or re-infection. You can also use a spray to treat your dog repeatedly. This may be necessary when dealing with a persistent problem. It’s certainly easier than bathing your pooch three times a day. You can use a store bought spray or make it yourself. Always prepare neem spray freshly, and use it immediately. Once neem oil is dissolved in water it starts breaking down. Keep the solution for no more than eight hours. A 0.5% – 1% solution is strong enough as a repellent spray to protect dogs from mosquitoes, fleas etc. However, if your dog already has a problem with fleas or ticks you can use a stronger solution. You can increase the concentration of this standard solution much higher, up to 10% (just remember that it will also take a lot more soap to dissolve the oil). And instead of spraying you can also sponge it over and through the coat of your dog. Such a strong solution will keep even buffalo flies and sandflies away! But usually it’s just not required to waste that much oil. A little neem oil goes a long way. Use warm (not hot!) water, the oil will dissolve much better. Using neem dog shampoo: bathing with a neem dog shampoo is of course an excellent way to discourage fleas and ticks, and to clean up mange or ringworm. Make sure you leave the shampoo in for several minutes (as long as your dog will tolerate it) before rinsing. Do this two or three times a week. That usually does the job. If making your own neem dog shampoo (by adding neem oil to normal dog shampoo), source some oatmeal shampoo. It’s the best shampoo to soothe already irritated skin and relieve pain and itching a bit. Otherwise use the mildest shampoo you can find. Just mix neem oil into your normal dog shampoo at a rate of 1 to 5 ml for every 100 ml of shampoo. 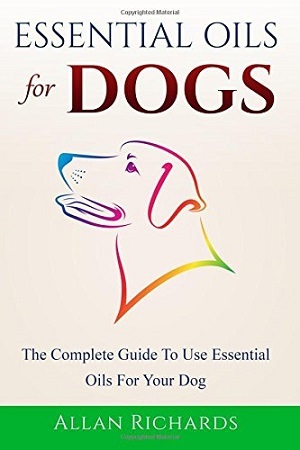 Use less if your dog does not have any problems, and more if it does. Using pure neem oil: if you have a severe case of anything you may want to try pure neem oil. Don’t use it undiluted, though, especially if the dog has cracked, open skin, oozing sores etc. Neem oil is very strong stuff! You would add to the stress and discomfort, and that makes things worth. For hot spots like moist eczema, or to treat demodectic mange, you can increase the concentration to a 1:1 ratio. Some people do use 100% pure neem oil in those cases. Don’t leave the pure oil on the skin for more than 48 hours, or you dog may develop an irritation. Also monitor the skin, and if there is any reaction, wash the oil of immediately. Using neem leaf: the preferred Ayurvedic people treatment for scabies (the human equivalent for mange) is a paste made from neem leaves and turmeric. 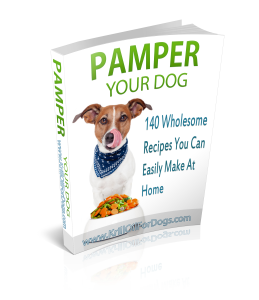 It’s more effort to make than the oil, but is certainly a good thing to use on dogs with mange. Why should I use neem oil on my dog? Neem oil has many beneficial properties for your dog. It can heal skin allergies, prevent itching, prevents and repels fleas, ticks and other external and internal parasites, and it can heal a variety of skin disorders. Neem leaves and neem bark can also be ingested and this will help your dog maintain healthy skin and a boosted immune system. The use of neem, whether as oil or not, should be monitored and advised by your veterinarian of choice. Are there any side effects in neem oil? The side effects of neem oil seem pretty scary but these are only applicable if your pet actually ingests neem oil (not leaves or bark) or ingests a product that contains neem oil. As a pet owner, you should be very vigilant of how you apply neem oil on your pet and make sure your pet won’t lick the body parts where the neem oil is applied. For serious cases, you should consider the use of a protective cone to avoid licking. Proper dosage is also important to keep track of to not expose your pet to any toxicity and sensitivity to neem oil. Make sure to always check with your vet first. Can I use neem oil on my puppy? Neem oil and neem leaf should be safe for your puppy. Make sure your puppy is at least between 8- 10 weeks before trying to use neem oil on it. NEVER use any kind of therapeutic oil undiluted. Any concentrated oil can cause an adverse reaction. If you are to use neem oil, dilute it at least at a 1:10 ratio in a light carrier oil, such as olive or sweet almond oil. If you’re going to mix it in shampoo, make sure it’s a very mild shampoo made for puppies. How do I use neem oil for my dog? Neem oil should never be used undiluted on your pet. Always make sure you inform yourself through research on how to properly use and mix neem seed oil. You can use neem oil in a spray, in shampoo or diluted with another carrier oil to massage on your pets skin or problem areas. 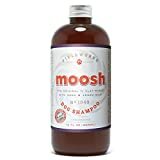 If you need the neem shampoo to treat existing problems, make sure you lather your pet and let the shampoo sit for as long as your dog will allow it. Keep in mind that natural remedies take time show results. Since they do not have harsh chemical substances, it will take time and routine persistence to achieve results. Albeit, these results will be very positive and much less harmful than what you would achieve by using commercial, toxic products. Always follow your veterinarian’s advice before you actually use neem oil. A holistic vet may also give you guidance for your dog. How to store neem oil? Neem oil, as any other oil, should be kept away from heat and the sun. They should also always be properly shut or sealed after using in order to prevent them from oxidizing. Neem oil can be very unstable and its use should be immediate if you’re making a homemade remedy. Using an oxidized oil may cause an allergic response. Always go for top quality oils to prevent this or seek ready made products that contain neem oil in them. Neem oil is a highly beneficial essential oil for your dog. There is much evidence that indicates its use as safe and effective when applied properly. In many cases, it’s preferred over pharmaceutical and chemical laden treatments that only harm your dog further. Neem oil has anti-fungal, anti-bacterial, and anti-septic properties. It can be used in treating and repelling a number of internal and external parasites and insects including mosquitoes, fleas, and ticks. The anti-fungal properties of neem seed oil are also good for treating ringworm or yeast infections on your dog’s skin. Neem oil is also great for soothing itchy and irritated skin. Neem oil definitely presents an all-natural remedy for common health problems in dogs. From the inside out, neem is an excellent alternative to keep your dog healthy. Keep in mind that for ingestion, the neem leaves or bark should be used instead of the oil. Make sure to consult with your veterinarian before using any kind of therapeutic oil on your pet. Even though neem oil is greatly beneficial, it’s always best to introduce it to your pet slowly and with proper precautions and indications. This way, not only will you ensure that no negative side effects occur on your pet, but your will be helping your dog’s overall well being, leading to a long and happy life. Emu Oil For Dogs – Shampoos, Skin Care, and Healing Arthritis Salmon Oil For Dogs – Benefits, Dosage, Safety, and Dangers. Lavender Oil For Dogs – Usage, Safety, and Benefits for your Pup! Argan Oil For Dogs – Safety, Dosages, and Benefits!